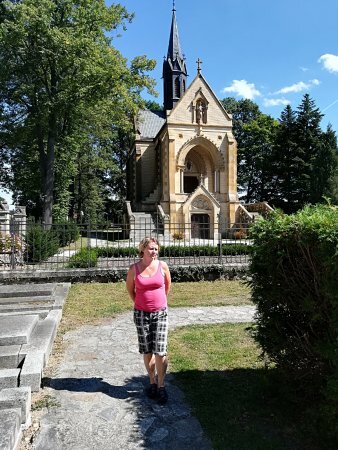 Discover the best top things to do in Nove Hrady, Czech Republic including Zamek Nove Hrady, State Castle of Nove Hrady, Theresa valley, Cuknstejn Fortress, Buquoy Tomb, Church of Sts. Peter and Paul, Monastery of The Divine Mercy. 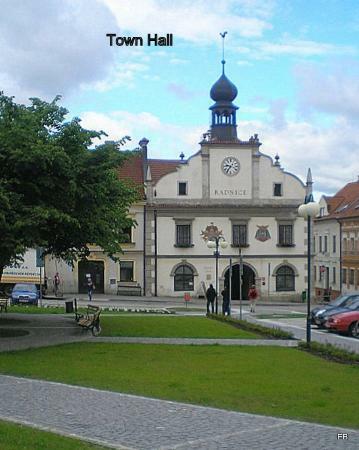 Nové Hrady is small village in Pardubice region. 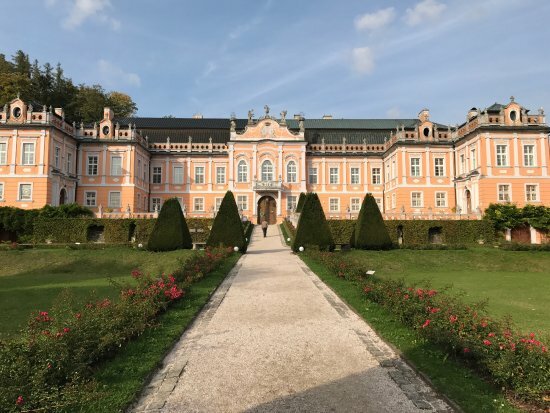 Chateau Nové Hrady - Czech Versailles or Small Schönbrunn. 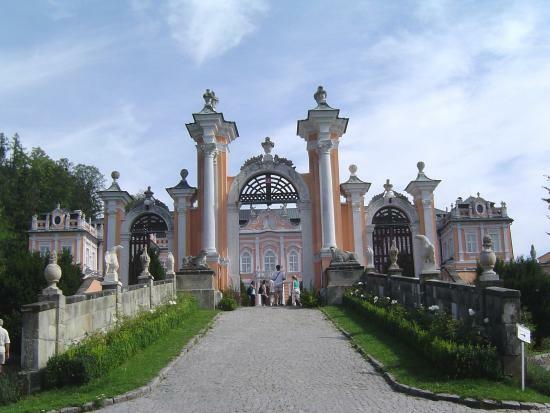 A Rococo chateua with a central cornice and wings built on different levels on a forwardly placed Terrace. 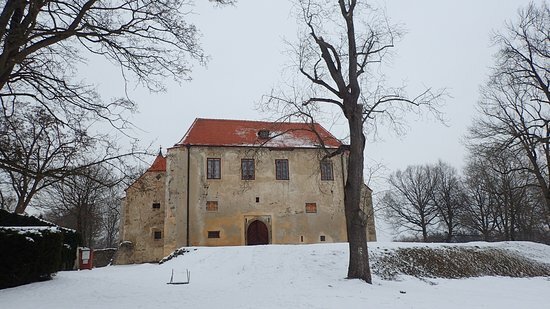 The castle was built by Z.Kostka of Postupice in the mid-15th century. 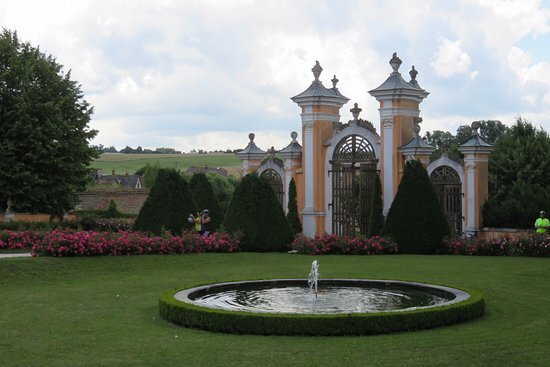 New Chateau was built between 1773 - 1778 by Jan Antonín Harbuval-Chamaré in the style of French summer residences. The rooms of the chateau are furnished in Classicist style. The castle is surrounded by a Frenxh garden with a labyrint and an English park with a cross road. 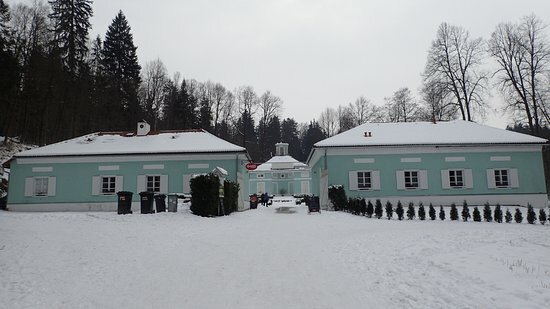 You can find first Czech bicykle museum - private collection of bikes and cykling. The complex exists of a fortress and a chateau. At the square the Buqouy Residence (1634-1635). 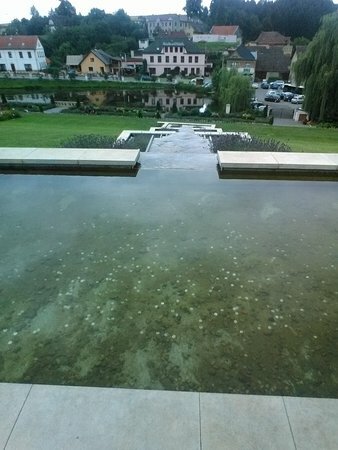 Founded end 13th century by Vítkovec family to protect the trade route to Austria. 1279 Mentioned simultaniously with the settlement. 1425 Conquered by the Hussites and burnt down. 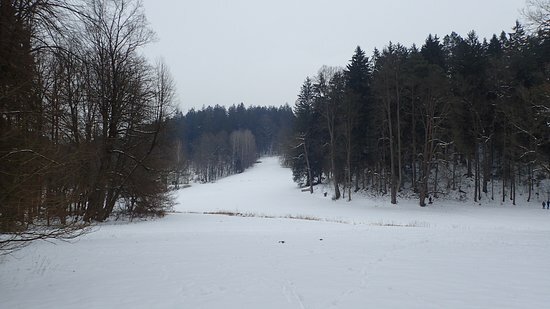 1467 Conquered by the soldiers of "Panská Jednota". Reconstruction end 15th century, 1573 the castle burnt down. Completely renewed beginning 17th century. 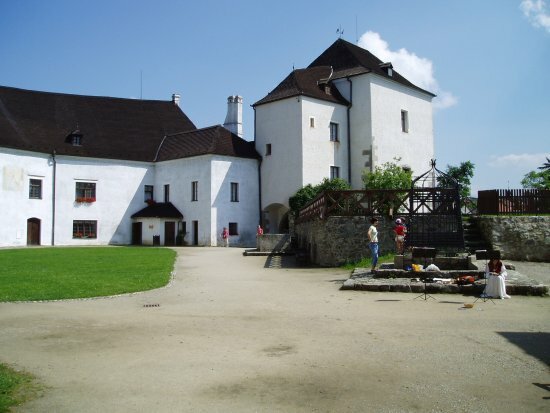 1620 General Buquoy captured the castle, became his property. 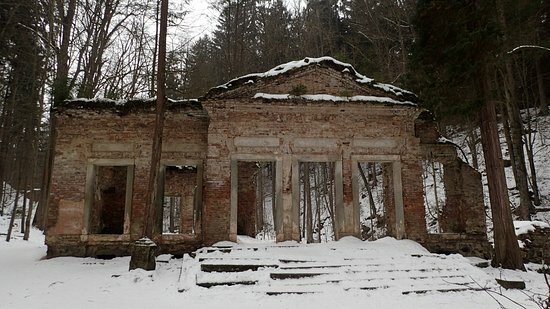 They used it as forest office and for accommodation. From the original building the oval layout, two gateways curtain walls with four bastions are preserved up till this day. 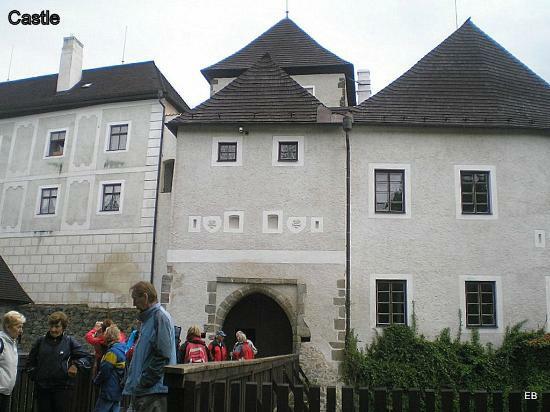 The castle is accessible by two drawbridges. Entrance free of charge to visit only its courtyard, entrance fee for the guidetour in its interior. 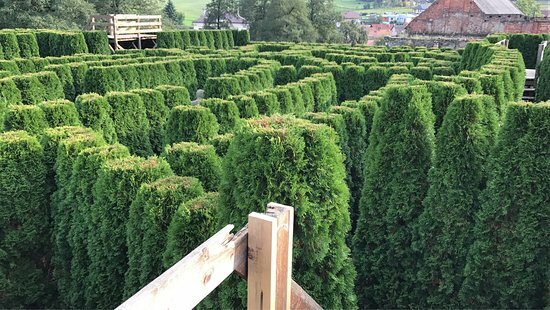 V údolí řeky Stropnice hrabě Buqoy založil v polovině 18. stol. 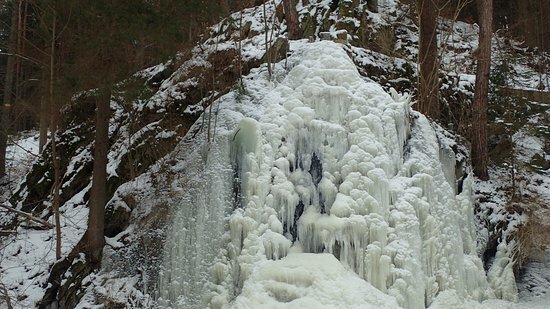 na přání své manželky Terezie přírodní park s řadou okrasných stromů a keřů. 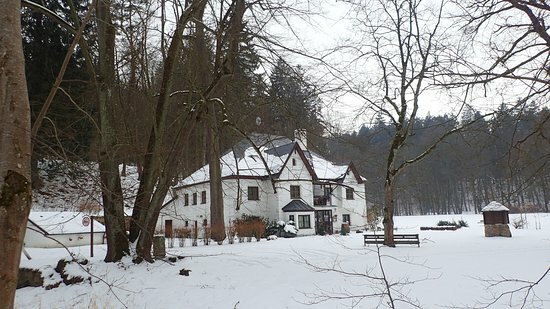 Příroda je zde opravdu krásná a poskytuje romantické výhledy na zasněženou krajinu, stavby, zříceniny a v letošní třeskuté zimě i ledopád. Prohlédli jsme si Hamr, navštívili penzion Lázničky, zříceninu Modrého domu, obdivovali památný dub a došli až ke tvrzi Cuknštejn. Procházka byla velmi příjemná a rádi se do Terčina údolí opět vrátíme. We were looking forward to take part in the guidetour (as its internetsite does mention) and were stark supprised this information is not correct at all, as already quite some time this fortress which had been state property, was sold thus in private hands and was even already partly renovated: so no guidetour. 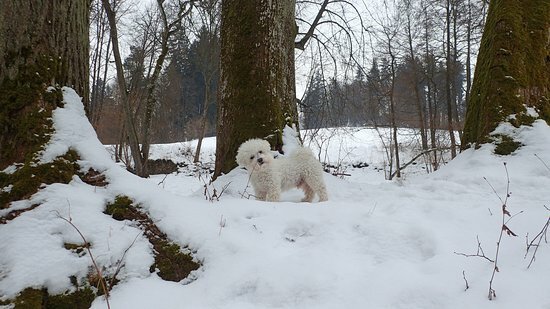 Back home I read that the fortress can be visited if contacted in advance and after approval of the owner. 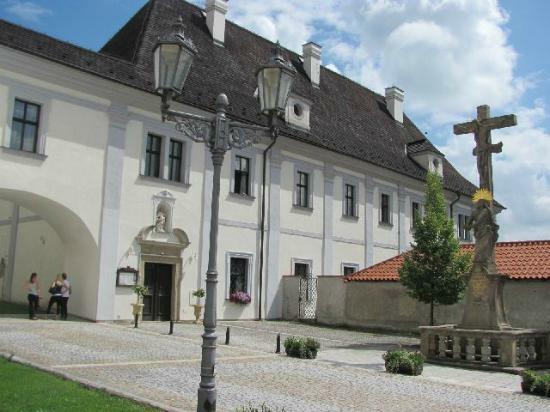 Located in the Gratzen (traditional center of Novohradské mountains). 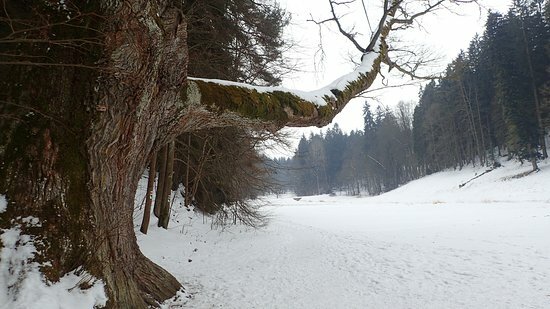 The 1488-1491 medieval fortress (tvrz) is located on the edge of the natural preserve Theresia Valley (parc). First record in 1279 mentions Vítek family. 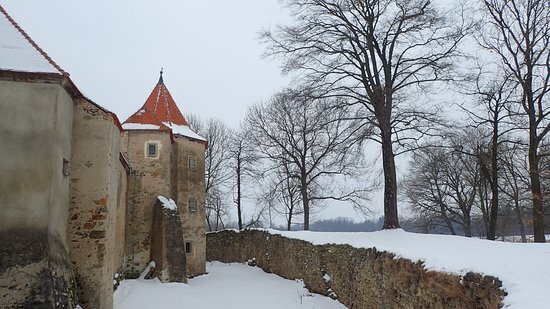 Beginning 14th century the estate devolved to the House of Landštejn who sold it to Rožmberks in 1358. They did not use the castle to reside there, perhaps they use it from time to time as a provisional shelter. 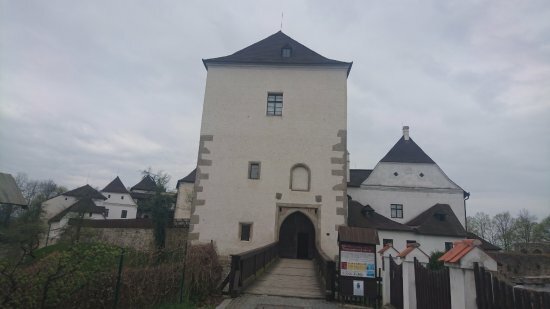 The vast gothic castle of the Rosenbergs was unsuccessfully attacked in 1423 by the Hussites, but 1425 Hussites captured the castle and the town and burnt them both down. 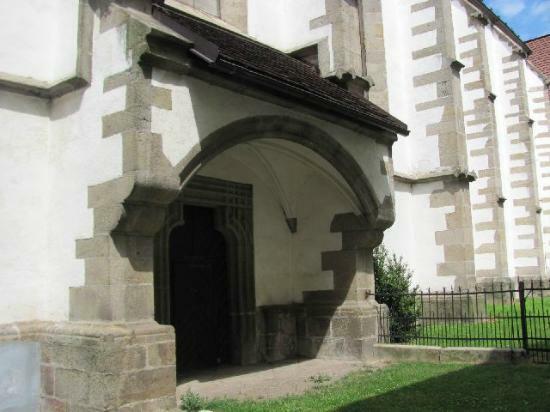 Rebuilt again but besieged and seized once more in 1467 by the army of Zdeněk of Šternberk. 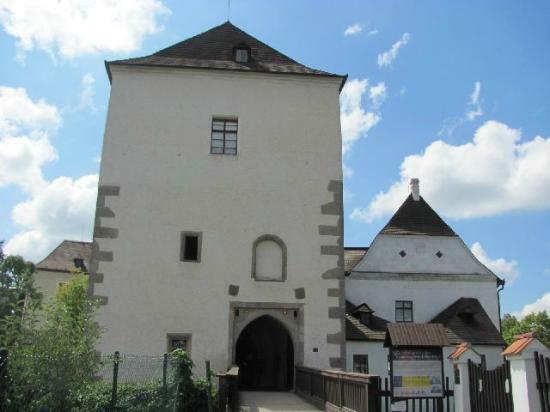 1476-1486 Rožmberks gave the castle in pledge to House of Grafeneck. 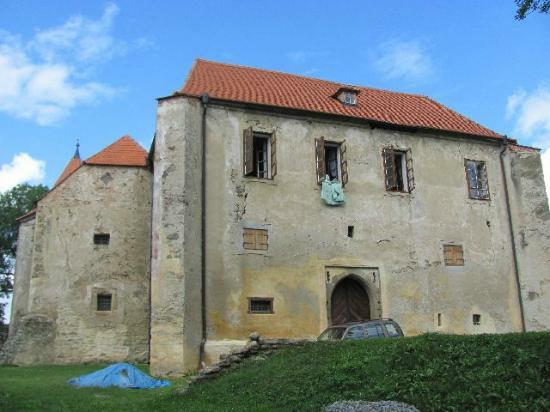 The castle started to flourish again in the time of the last Rožmberks. Rebuilt first half 16th century, but 1573 got severely damaged again by an explosion of gunpowder and again in 1605 by an earthquake. Restored and shortly afterwards conquered by General Buquoy in 1619. 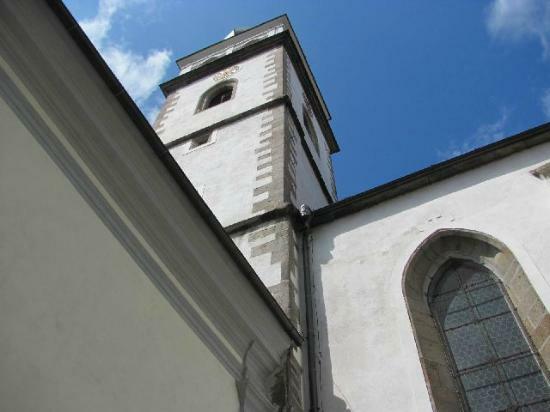 Renewed and expanded in Baroque style. 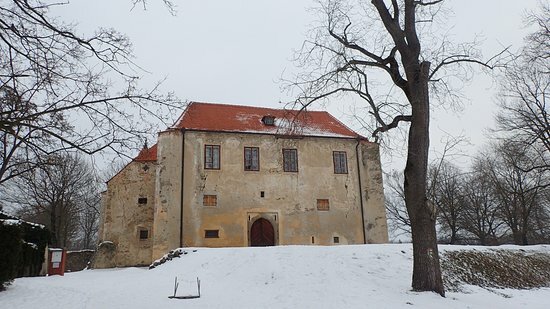 When the last member of the family of Rožmberk, Petr Vok, died in 1611 the inheritance agreements gave the castle to the property of Švamberks. The new owners took part in the following upraising against the King and Emperor and so the castle was besieged again, first in March 1619 the imperial general Dampierre tried it without success. The second attack began in June under the leadership of Charles Bonaventura Buquoy and the garrison of the castle gave up. Buquoy died the following year during the siege of Nové Zámky. His wife Maria Magdalena neé Biglia governed the estate for her underage son Charles Albert. In 1635 she moved to a Residence in the town square and the castle exchanged the role of residence for a mere administrative centre. Buquoys, however, kept the castle till 1945 when it was nationalized and now belongs to state property. 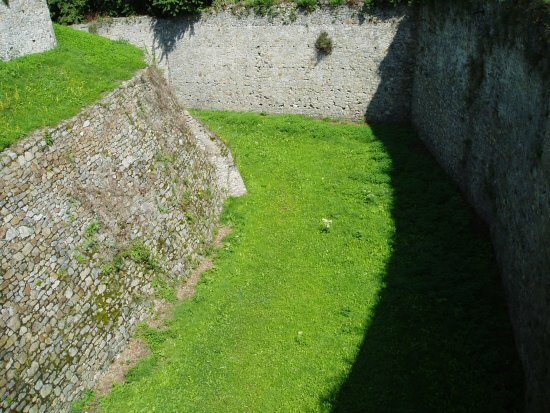 Very well preserved defence system with a broad stone ring Canal. Castle area with two input towers. Five halls of the Palace with a gallery are open to the public. In the Gallery include portraits of the members of the Buquoy family. 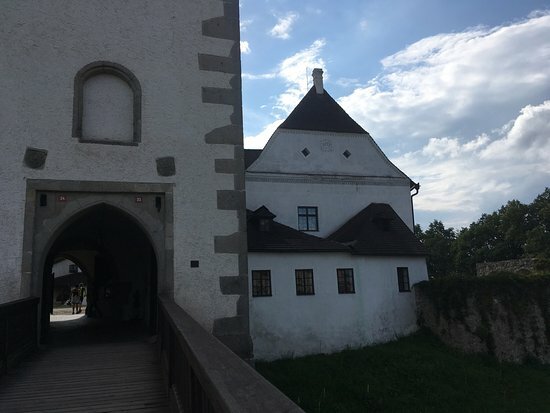 Two tours are on offer: Tour I shows the Castle (Buquoy’s interiors) and Tour II shows the Flat of Lord Buqoy and gives an idea of a citizen household from the beginning 20th century. 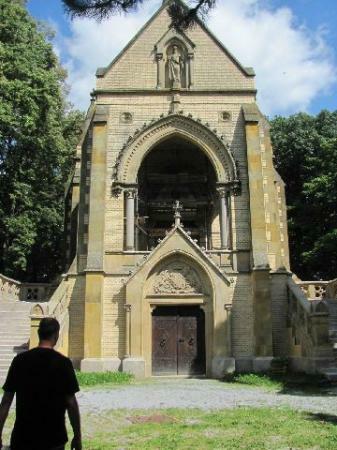 Untill the19th century one tried to ensure that no religious building was errected in the vicinity of the church, just a handfull of wayside shrines, an exception to this rule is the 1902 tomb of Buquoy on the edge of the cemetery (Karel Bůžek, design Josef Schultz). The dinasty had laid their deceased members to rest into a tomb established in 1648 in the presbytery of the Church of Saint Peter and Paul. 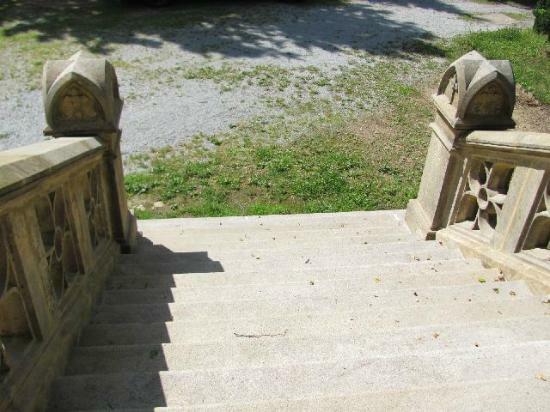 The tomb has a five-sided presbytary with south side a winding staircase leading to the bell tower. The walls are fair-face brickwork with sandstone ornaments and granite base walls and columns. 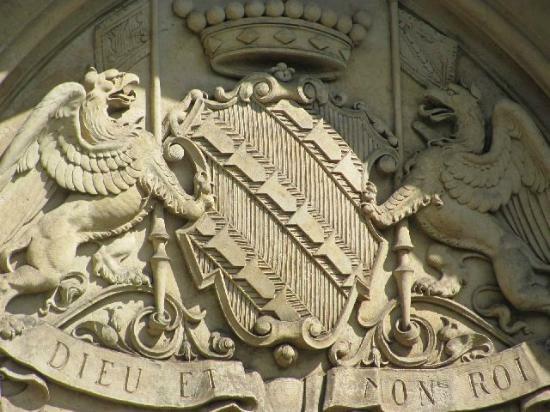 The ground floor portal tympanon: a stone embossed coat of arms of Buquoy held up by a pair of griffins and the family motto "Dieu Et Mon Roi" (God and my King). The entrance is decorated by a large gilded mosaic (Max Švabinský) depicting the Virgin Mary standing on a crescent moon in a golden halo, crowned by a pair of angels. Mary holds the Infant Jesus on one arm as they finger the prayer beads. On the crypt portal a large coat of arms. The square central nave is vaulted with one part of star vault with moulded formerets finished on beams. 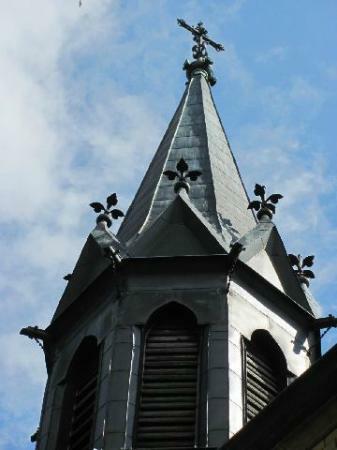 Side naves are vaulted segmental. 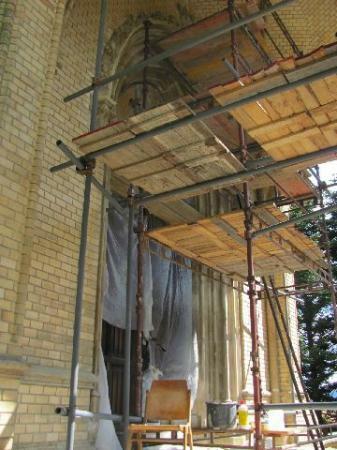 The side walls has six windows with Gothic tracery, glazed with Cathedral glass. 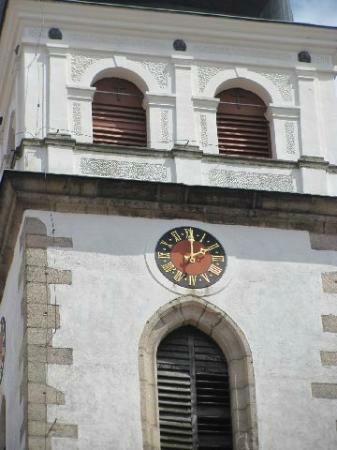 Turret with belfry, the antechamber opens into the side stairway and is roofed by one part of cross vault. 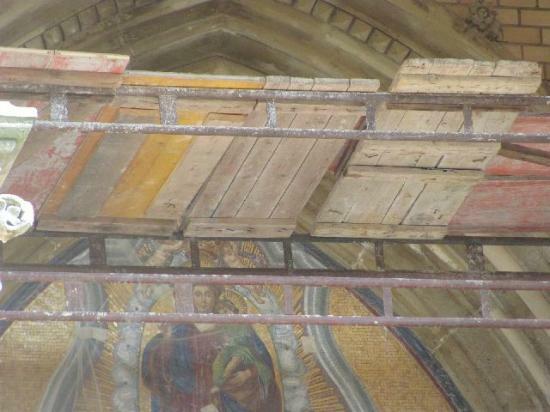 Five coffin recesses are located in the presbytery and four under the side aisles. Under the chapel is a crypt which copies the ground plan of the chapel. This unconventional family tomb has no underground crypts, the lower sections house a hall of farewell and whilst the upper floor the chapel with an altar and eight coffins (family members). It now serves as a chantry chapel and hall of farewell. In czech: kostel sv. 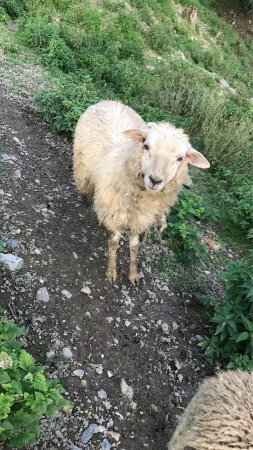 Petra a Pavla. It is strictly forbidden to take pix of its interior. 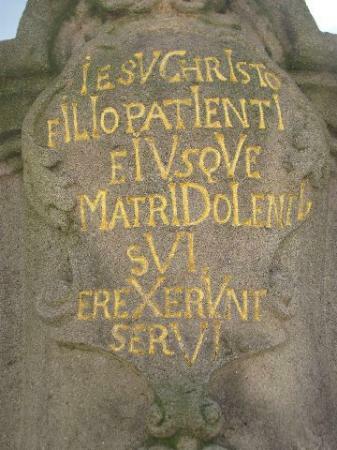 Mentioned in 1284. Town Nové Hrady destroyed 1425 by Taborites.1467, burnt down to ashes by Zdeněk von Šternberk. 1500 Church rebuilt, 1590 completion late gothic nave. 1607 Tower struck by lightning in, rebuilt Renaissance. 1726 tower 8-sided bulbous dome. 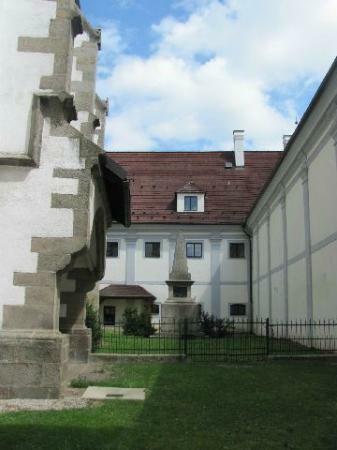 1677 Ajoining monastery established and alterations church. 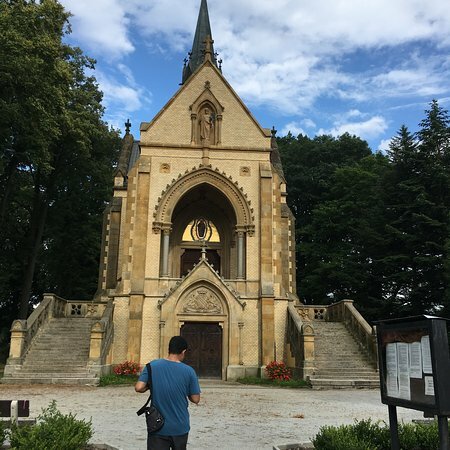 New sacristy and oratory, church furnished in early baroque. 1678 High altar, 2 side altars, 1697 pulpit - confession booth and pews, 1733 floor paved with granite flagstones. 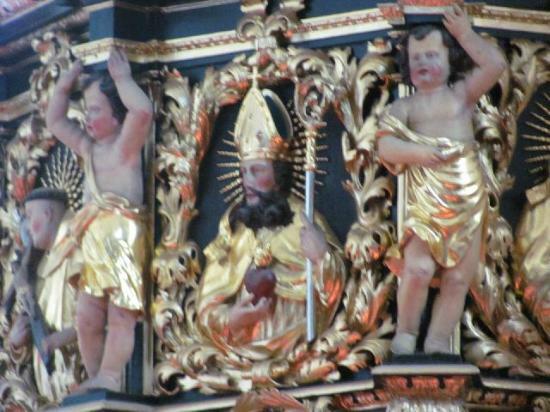 Picture high altar “Sending of Holy Spirit”, end altar statues St Wenceslaw, St Sigmund and St Adalbert of Prague. Lateral life-size statues St Peter and St Paul. Overtabernacle a yellowed woodcut of “Virgin Mary of Good Advice”, altar St Anne. 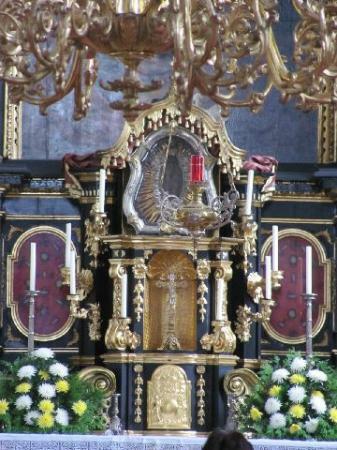 Picture „Virgin Mary Trost“ or „Virgin Mary of Záblatí“ at high altar shows Virgin Mary with Jesus on her left arm. The woodcut was 1619 saved from a burning house in The Battle of Záblatí near Vodňany by Count CB Buquoy. 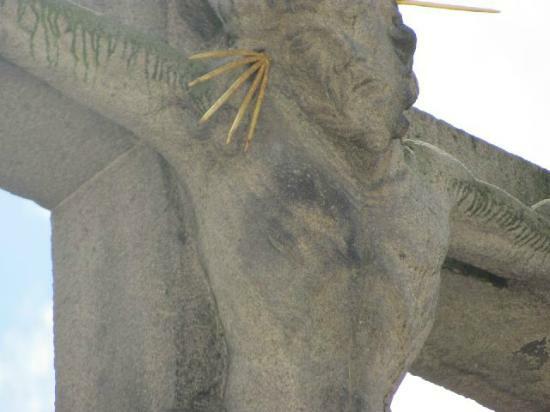 He carried it with him to pray to Virgin Mary. When he was killed in a battle near Nové Zámky in Hungary. St. Ann’s Church in Vienna got it. 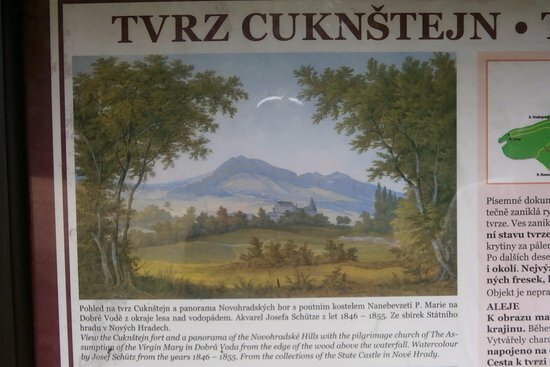 1674 Request fam Buquoy picture should return to Nové Hrady. Countess M Buquoy had the woodcut, black from fire, put into frame with gilded aureole. 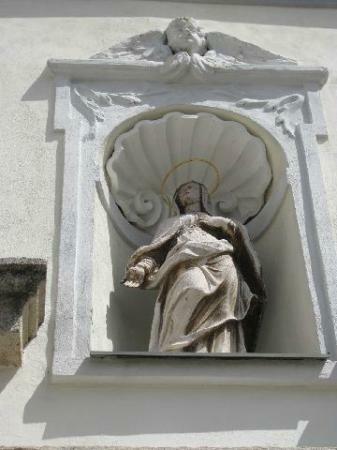 Yearly celebration “Birth of the Blessed Virgin Mary” in Nové Hrady. 1753 Picture hung at high altar. In czech: Klášter Božího Milosrdenství. 1679-1686, former Monastery of St. Peter and Paul (Friar Servants of Mary) by noble family Buquoy. 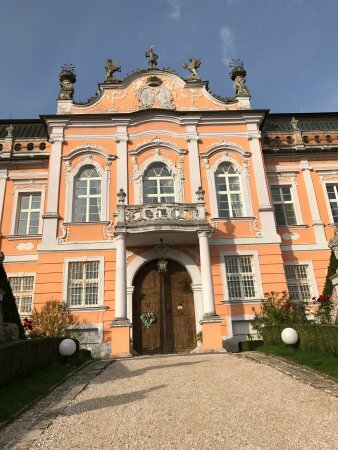 The order had 8 monastery branches in CZ, but due to reforms by emperor Joseph II six of those were abrogated, Nové Hrady and Králiky remained, but 1883 Králiky closed due to a lack of friars. 1886 Radical reform, monastery incorporated into province Tyrol. 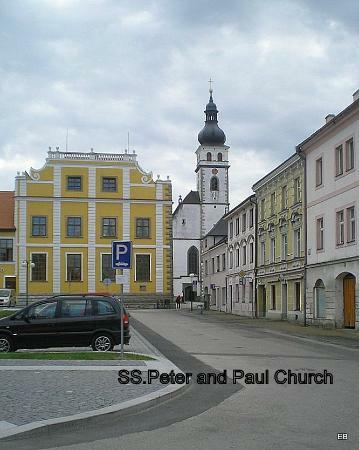 WWII only two Czech friars remained, monastery served as barrack for frontier police. 1987 They left, complex dilapidated. In 1990, after fall of iron curtain, friars were sent in again. With help volunteers the monastery was restored again.